Layering up just got smarter. This jacket sorts out the style and the warmth for you thanks to its smart outer later and inner quilted insert. It’s just one jacket that looks like two separate items, and the insert packs a punch of warmth. 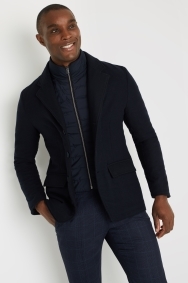 The outer jacket is made from a wool-rich material woven in Italy, giving it a top quality look and feel. 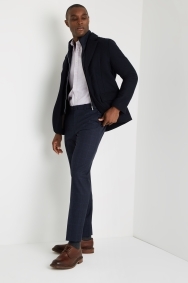 As it’s cut in a tailored fit, it’s smart and comfortable. 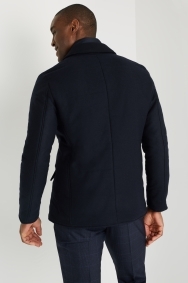 Wear this navy coat with your day-to-day workwear and do the insert up to keep you warm. You can leave the outer jacket open or fastened. Took back as poor quality, had replacement, was also poor so returned!